The way fuel consumption is tested is changing in September. The new test - called WLTP - aims to test cars under more real-world driving scenarios to achieve more realistic mpg figures. 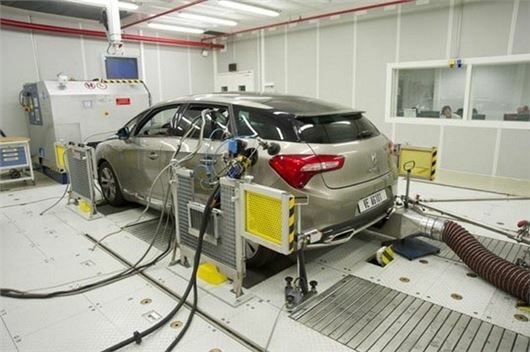 From September 2017, any new cars launched onto the market will be tested under the new Worldwide Harmonised Light Vehicles Test Procedure (WLTP). Existing models on sale will have until September 2018 before they have to be certified according to the new test. Although the WLTP will be more reflective of real world driving conditions, it will still be laboratory-based. Meaning that while it will create a more accurate driving profile, it can't account for variations in weather, car occupancy and traffic congestion - all of which have a big effect on fuel economy. In June 2018, the Government proposed that all manufacturers change over to the new WLTP fuel consumption figures in their promotional material and advertising for all vehicles on the same date - 1 January 2019. This aims to save the confusion of having NEDC and WLTP figures on brochures. It was also proposed that the change-over to WLTP specific CO2 emissions should take place from 6 April 2020. This will align with the use of the new CO2 figures for VED and company car taxation purposes. It will also cover more than twice the distance - 14 miles at a higher average speed - and include more braking and accelerating to reflect situations that drivers experience in everyday life. Extra weight and power used by optional equipment will be taken into account as well. The unrealistic fuel consumption data can add significant and unforseen long term running costs onto some of Britain's favourite cars. For example, a Ford Fiesta costs £5173 to fuel and tax over four years/40,000 miles, which is £1372 more than its official fuel economy figures suggest. The new WLTP aims to correct many of the issues with the current NEDC. It will no doubt yield figures that reflect more realistic fuel consumption figures, which means that the advertised MPG figure is likely to go down. The Vauxhall Astra 1.4 manual, for example, achieved 37.7mpg under the NEDC with no optional extras added. However, it achieved only 31.4mpg under the new WLTP. How will this affect CO2-based tax? Currently, each car receives a certificate of conformity which shows its CO2 emissions level based on the NEDC. During the transition from NEDC to WLTP, cars approved before then will continue to have CO2 values as measured under the current NEDC test only. When a new car is certified after September 2017, its official documents will have CO2 emission values from the new WLTP as well as the NEDC. The change in CO2 would in theory affect the first year 'showroom tax' rate of a new car. This means that a vehicle currently on sale could be subject to more first year tax if the new WLTP test shows an in increase in CO2, which is very likely. BIK tax rates for company car drivers are set for the next couple of years, so there is unlikely to be any retrospective action to adjust rates upwards. However, there will probably be a new set-up for BIK tax in the future beyond the scope of how the rates are currently set - up to 2019. This will affect people choosing company cars then. With regards to the new fuel efficiency test, can anyone tell me if this is still a con trick? Yes, clearly they have changed some things but is this just a distraction to avoid us noticing other crimes against the driving public like taking off the wing mirrors and disconnecting the power steering pump as well as other things. I thought Peugeot were going to publish 'real world' economy figures. The new road tax charges are OK if one has a car that costs less than £40k but has highish CO2. For example the Jag XE petrol had a CO2 rating of 170 (I think) - now it will only cost £140 to tax. Same as the XE 2.0 litre diesel which has a much lower CO2 rating. Another series of tests which will, perhaps, get us a bit further towards the holy grail of truth regarding m.p.g. Why don't they just cut the crap and adopt Honest John's "real world" consumption figures? Then we'd all know what to expect from our cars. Who here is tired of listening to people moan that they aren't getting close to the official mpg figures? How many people purchase a car that has an official 0-60mph of say 8 seconds and then try to match the 0-60 time themselves to then find that they can't match 8 seconds, only to then complain to the manufacturer or blog about it? No one. Why because the average person is not a professional racing driver, most of us learned to drive over 20 years ago in cars that had only 4 gears that had no Rev counter. Of course we can't get close to the official mpg figure quoted by the manufacturer, just the same as we can't get close to the official 0-60 time.